The video cameras of both phones have user interfaces identical to their still cameras and in turn, practically identical to each other. The Samsung Galaxy S III comes out slightly ahead in terms of features as it can pause video recording (so you can have multiple scenes in the same video file) and it features touch focus during recording (with a button to go back to continuous autofocus). Both phones have the option to capture photos during video recording. 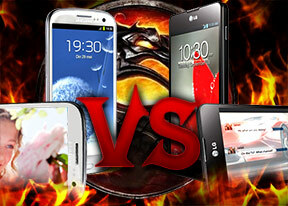 Although the Optimus G has the more powerful chipset, it only snaps 1080p photos (practically a frame of the video), while the Galaxy S III does 6MP shots (its maximum resolution in 16:9 mode). Unlike the still cameras, the LG Optimus G camera is wider in video mode than the Samsung Galaxy S III, which is usually an advantage as it lets you fit more in the frame. Both phones record video at up to 1080p@30fps in .MP4 files, but the Galaxy S III uses a higher bitrate (17Mbps) compared to the LG Optimus G (10Mbps). The Optimus, however, goes a bit higher with the audio bitrate (160Kbps vs. 120Kbps). 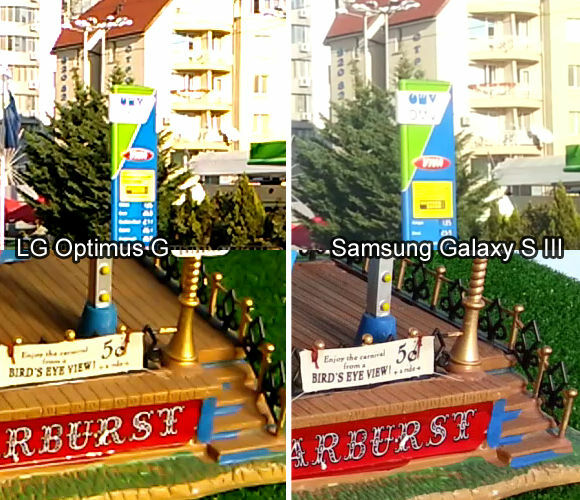 Still, the lower bitrate results in less detail in the Optimus G video as compression takes its toll. The Optimus G clips also have more limited dynamic range with highlights and shadows clipping quite a usual sight. The Galaxy S III is prone to over-exposure (as did the G for that matter), so you might want to use the exposure compensation setting to get the best results. You can watch the video samples we captured, just don't forget to pick 1080p and view them in full screen. 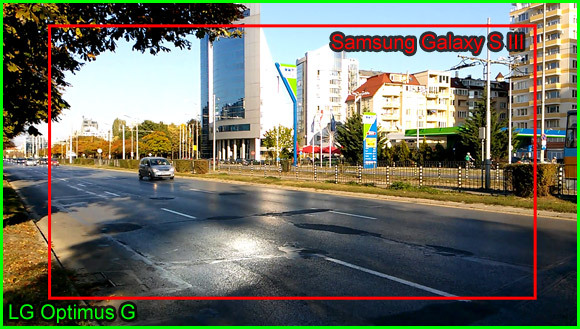 While watching the videos, you might have noticed that the Galaxy S III autofocus is a bit overzealous, so you might need to use tap to focus. The Optimus G autofocus is more restrained and is noticeably quicker. Again, you are welcome to take a trip to our Video compare tool and see how the two compare there.